This Masque is used to balance and refresh dull, dry and less toned skin. It contains high levels of the best purifying ingredients- Yeast, Cucumber and Witch Hazel. It can be used all over the face, neck and cleavage to brighten and tone the skin. This is the purifying mask par excellence. It contains high concentrations of Yeast, Cucumber, and Witch Hazel extracts renowned for their skin purifying properties. Avoid the eye area. 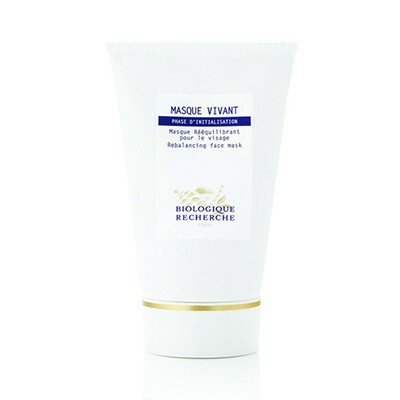 Apply Masque Vivant over all the face, neck and cleavage. Leave for 15 minutes, moisten the mask and rinse off at least twice with warm water. For seborrheic skin mix a pinch of bicarbonate of soda and a few drops of Complexe Iribiol with Masque Vivant and apply the frothy mixture in a thin layer over the entire face, neck and cleavage.